The Performance Reviews, or audits, are about identifying critical gaps in your current innovation performance. In order to improve performance you first need to understand what your starting point is, what your strengths and weaknesses are and how each will promote or limit what you can achieve. These audit sessions are geared to finding out your strengths or weaknesses and what to put right. An innovation culture is based upon a multitude of factors. This audit process will help you understand what you’re good at and what you need to improve upon. There are two levels of awareness – first you need to understand what successful teams or business look like, how they behave and how close you currently are to emulating them. The second is to understand what leadership of such a team or business looks like – do you have the necessary attributes for success? Strategic Focus – Have management defined the extent and direction of innovation? Internal Sources of Ideas – Are sufficient resources allocated to internal idea creation? External Challenge – Do you monitor industry and market trends? Idea Evaluation – Do you formally review and score ideas against your business plans? Projects – Does implementation follow best practice PM principles? Support Systems – Do you have the latest web based technology to support innovation? Champions – Who is promoting and encouraging innovation at an operational level? Creative Culture – Do you have a culture of creative challenge and tolerating mistakes? Performance Reviews – Have you set innovation KPIs and a clear review process? Here at Innovation Leaders we undertake these performance audits and produce a comprehensive report for your management team. 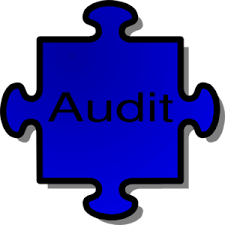 Each audit takes, on average, 2 days and includes interviews, data collection and external review. Contact us for more information on carrying out Performance Reviews and Innovation Audits or register at www.fast-track-me.com for access to audit tools.